Prospective ownership groups from Las Vegas and Quebec City were the only two to submit formal bids for NHL expansion teams by last night’s deadline. There was no anticipated bid for a second Toronto-area team, and even more surprisingly, nothing from Seattle. The bids required a deposit of $10 million, with $2 million of that non-refundable, to get in on potential NHL expansion, with as many as two new franchises beginning play as early as the 2017-18 season. (The expansion fee itself is expected to be $500 million.) That time frame appears to be what frightened off so many potential bidders—arenas in Las Vegas and Quebec City are under construction and will both open within the next year, while no other locale can boast any hard plans to host an NHL team. This is something of a setback for the NHL, which counted on at least three bids for only two potential spots. (Groups from Portland, Kansas City and Milwaukee were also rumored to be mulling bids.) Pitting expansion locations against each other would have driven up the price of a franchise, and squeezed more concessions out of local governments when it comes to negotiating arena lease and construction deals. 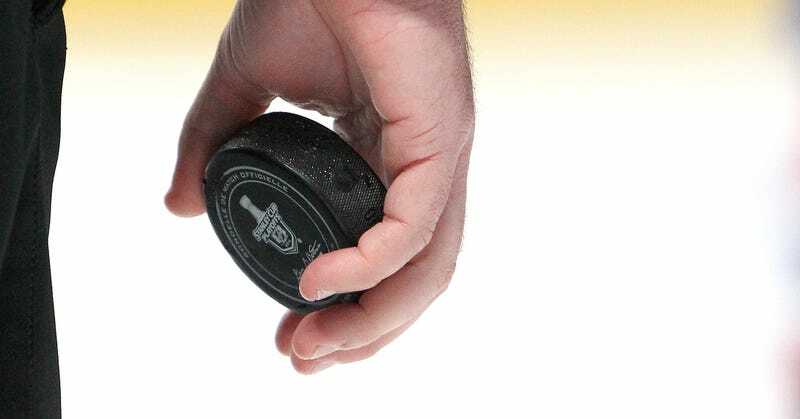 While bidding does not guarantee a team, deputy commissioner Bill Daly did say that the NHL will not consider any groups who did not meet yesterday’s deadline. So it’s Vegas, Quebec, or bust, at least for now. None of the three prospective groups from Seattle were willing to commit hard cash without first obtaining arena promises. Bids from groups targeting sites in Tukwila, Bellevue, and the SoDo District didn’t materialize, and now some are calling for the groups to join forces. Seattle is still a presumptive favorite for NHL expansion, especially given the league’s stated desire to balance out the conferences, but it seems like that won’t happen immediately. Don’t worry, Seattleites; there are a couple of Sun Belt teams in desperate need of relocation.